Most of my assignments for the weekend have (miraculously) been completed, and since I happen to have a bunch of scoresheets lying in my file I decided to spend some time looking through the games and seeing whether there was anything worth analyzing (no, dropping queens and rooks don't count as games worth analyzing). And fortunately one game hasn't failed my expectations, so I have decided to post it up here for y'all to take a look. Most of the analysis down here has been done with the help of our good friend, Deep Fritz 12. To protect the identity of the players involved, I have replaced their real names with pseudonyms. 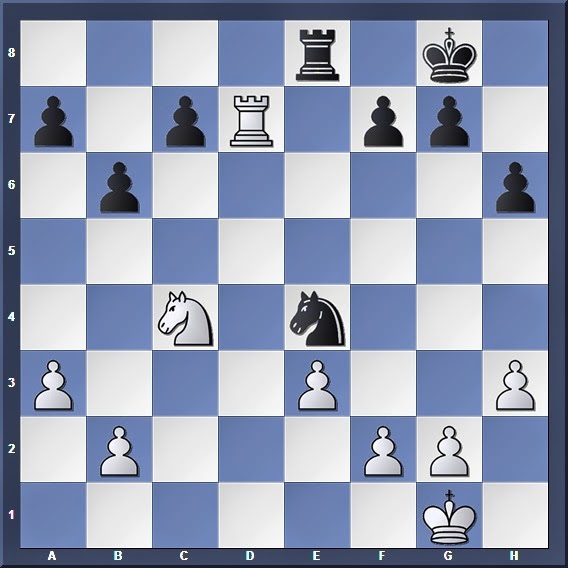 The game resembles a quiet form of the Queen's Gambit Declined; in most positions like this Black usually places his knight on d7 rather than c6, so as to clear the way for a future c5 pawn thrust. The semi-open c file will become an important battleground for both sides. 13. Nce5 is possible, but after 13... Nxe5 14. 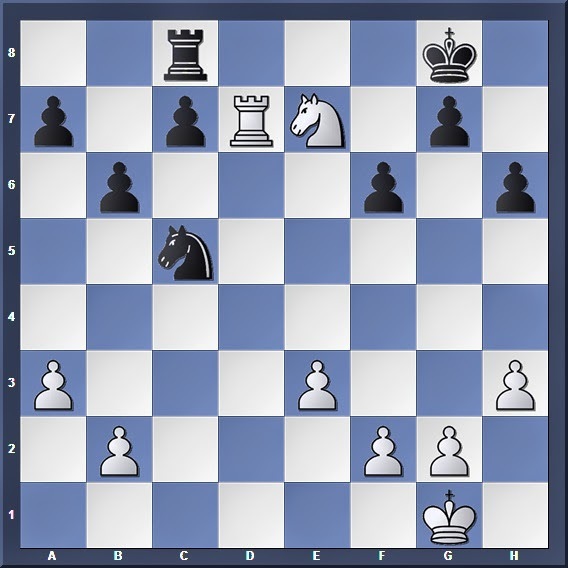 Nxe5 c5 (exploiting the hanging position of White's Queen) 15. Rfd1 Rac8 Black prepares to take control of the c-file that will open up after the exchange. It looks like a passive move, but in fact 16. Rac1 is a very sneaky attempt by White to exploit both the semi-open c-file and the soon-to-be-opened d-file. White's Queen and Rook assist the e5 knight in making an indirect attack on Black's Knight, which is in turn guarded by only 2 defenders and pinned to a hanging pawn behind him. Furthermore, White's d-file rook is also looking threateningly at the Queen on d5, which is already overloaded trying to babysit both her knights! So for example after 16... Nd6 (16... fxe5? 17. dxe5 and the threat along the d-file materializes; Black must give up either his Queen or Knight) 17. Nxd6 Rxd6 18. Nxc6 Rxc6 19. Qa4 (another X-ray, looking at the unprotected rook on e8!) Ra8 20. Rxc6 Qxc6 21. Qxc6 bxc6 the resultant endgame is better for White since he has the better pawn structure. So instead of 15... f6 a better continuation for Black might have been 15... Nd6 16. Nxd6 Rxd6 before preparing for a f6 thrust later on. 15. Qxe4?! Nxe4 allows White to centralize his knight with gain of tempo. 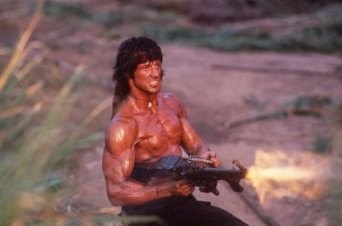 Don't look my brothers, there's gonna be lots of bloodshed! Looks active, but this also relinquishes control of the d7 square and allows White's rook to invade the 7th rank! The alternative suggested by Fritz was 22... b5 23. Na5 c5 24. Nc6 a6 and although White seems more aggressive, the endgame still looks rather drawish. 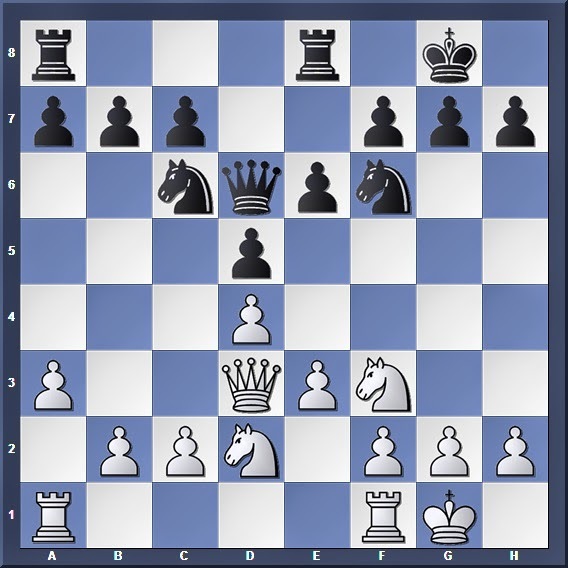 Remember how quite some time ago we saw an example of the power of a rook on the 7th rank (http://nushsblackknights.blogspot.sg/2013/12/revising-basic-rook-endgames-part-3.html)? Here we go again: The rook on the 7th rank fences off the enemy king, attacks the enemy's vulnerable pawns, and forces the opposing rook to relegate to a passive role of defending the pawns. And by now, we should all know the superiority of active rooks over passive ones. 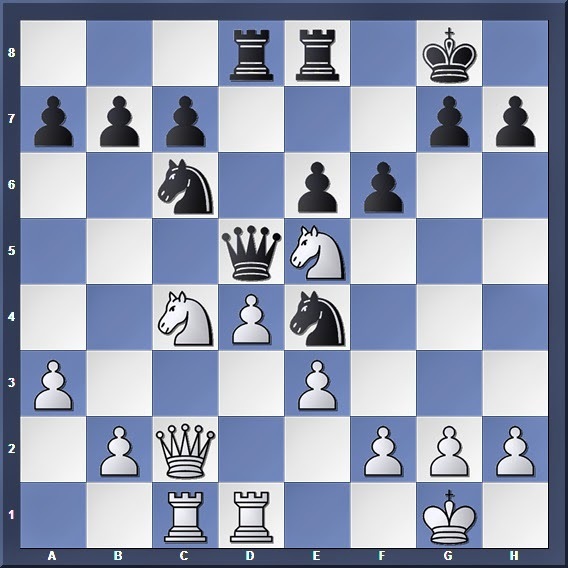 The tactical blow that decides the game in White's favour: The dual threat of Nxa8 and Ne7+ has no good reply. After 26... Kf7 27. Nxc8+ Nxd7 28. Nxa7 White wins a pawn and gets the better endgame. I love this apparently simple, yet so instructive game that clearly illustrates the theme of the rook on the 7th rank.